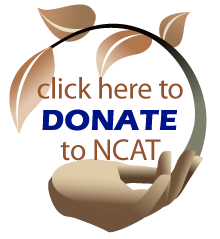 The National Center for Appropriate Technology (NCAT) is accepting applications from military veterans who want to attend our week-long Armed to Farm (ATF) training June 12-16, 2017, in Fayetteville, Arkansas. ATF allows veterans and their spouses to experience sustainable, profitable small-scale farming enterprises and explore agriculture as a viable career. The event is free for those chosen to attend. The deadline to apply is April 28, 2017. A new app that will be released March 20, 2017, by University of Alaska Fairbanks Cooperative Extension is designed to help growers save and share information about how vegetable varieties perform in different locations. Farmers and gardeners can use the app to rate varieties in terms of taste, yield, and how easy they are to grow. Growers can also record other information about their experiences with a variety. Data will be available for any location in North America. The Report of the Special Rapporteur on the Right to Food, presented to the UN Human Rights Council, focuses on global pesticide use in agriculture and its impact on human rights. The report details adverse impacts of pesticides on human health and on the environment, analyzes the adequacy of current laws and regulations regarding pesticides, and touts agroecology as an alternative to pesticide use. University of Illinois researchers built bioreactors to treat wastewater from a recirculating aquaculture system in West Virginia. They found that simple woodchip bioreactors can effectively and inexpensively remove nitrate pollution and solids from aquaculture wastewater. Finding an affordable way to treat wastewater could remove a major hurdle to growth in the aquaculture industry. Organic Agriculture in Wisconsin: 2017 Status Report shows Wisconsin had 1,334 organic farms in 2015. Wisconsin remains the second state in total number of organic farms. The report notes that this puts the state in a good position to participate in the growing market for organic food. However, the report finds that organic processing is a bottleneck for growth, particularly for small- and mid-scale farms and businesses. The American National Standards Institute (ANSI) has extended the deadline for certification bodies to apply to the Pilot Accreditation Program for the ANSI/LEO-4000 American National Standard for Sustainable Agriculture to May 10, 2017. Leonardo Academy will provide a two-hour training via webinar on March 21, 2017, for certification bodies and potential users of the standard who are participating in the pilot, who are considering participating, and for interested parties in general. USDA is investing up to $15 million in technical and financial assistance to help eligible conservation partners voluntarily protect, restore, and enhance critical wetlands on agricultural lands. Funding will be provided through the Wetland Reserve Enhancement Partnership (WREP​). In WREP, states, local units of governments, non-governmental organizations, and American Indian tribes collaborate with NRCS through cooperative and partnership agreements. These partners work with tribal and private landowners who voluntarily enroll eligible land. Proposals are due to NRCS state offices by April 24, 2017. USDA Natural Resources Conservation Service (NRCS) is accepting proposals for up to $75,000 to promote the development and adoption of innovative conservation approaches and technologies. NRCS is seeking proposals focused on soil health, precision agriculture, wildlife habitat, urban agriculture, and projects benefiting historically underserved producers and veteran farmers. State and local units of government, non-governmental organizations, and individuals are eligible to apply. Proposals are due by April 3, 2017. The Wyoming Department of Agriculture is accepting applications for the Wyoming Specialty Crop Grant Program. Competitive grant awards up to $24,500 are available to enhance the competitiveness of specialty crops in Wyoming by increasing the production and consumption of fruits, vegetables, tree nuts, horticulture, and floriculture. The deadline for submitting applications is April 10, 2017. Explore agritourism tools including social media, event planning, labor regulations, legal issues, financial resources, marketing strategies, and agritourism's best practices. Visit three area farms to discover agritourism successes and challenges. During its meetings, the National Organic Standards Board listens to public comments, discusses agenda items, and then votes in a public forum. Detailed information including agendas, location, recommendations, and how to submit comments is posted online. This interactive workshop provides comprehensive niche-meat training from pasture to sale for beginning and transitioning farmers. Producers will learn about pasture management techniques, nutrition and feeding guidelines, how to determine markets and scale, and liability requirements and coverage. How can I control poison ivy without using chemical herbicides?